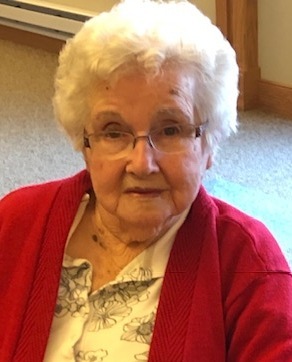 Delia M. Cooley age 96 of Bagley, WI passed away Saturday, January 19, 2019 at the Prairie Maison Care Center. She was born on December 17, 1922 in Lynxville, WI, the daughter of Robert and Ethel (Shoemaker) Fisher. Delia was the valedictorian of her class at Seneca High School and later graduated from Platteville Teachers College. She taught country school at Brodtville, WI. She married Keenan Cooley on December 26, 1943 in Prairie du Chien, WI. Together they farmed on the family farm in Bagley most of their lives. Delia was an active member of the United Methodist Church in Bagley and Prairie du Chien. Keenan preceded her in death on May 1, 2012. She is survived by her children, Sandra McCluskey of Prairie du Chien, WI, Marilyn (David) Nies of Prairie du Chien, WI, Jon E. (Betty) Cooley of Bagley, WI and Kim (Tinker) Moravits of Bloomington, WI, her sisters, Florence Kozelka of Seneca and Ethel Roberts of Kenosha, WI, brother in law Gene (Mary Lou) Cooley of Woodman, WI and sister in law Mary Cooley of Prairie du Chien, fifteen grandchildren, thirty-seven great-grandchildren and fifteen great-great-grandchildren. She was preceded in death by her son Keenan Gregory Cooley, her husband, and her brothers, Robert, Daniel and Fritz Fisher.